 Green, M. and Loewenstein, P.M. (1988) Autonomous Functional Domains of Chemically Synthesized Human Immunodeficiency Virus Tat Trans-Activator Protein. Cell, 55, 1179-1188. Vives, E., Brodin, P. and Lebleu, B. (1997) A Truncated HIV-1 Tat Protein Basic Domain Rapidly Translocates through the Plasma Membrane and Accumulates in the Nucleus. The Journal of Biological Chemistry, 272, 16010-16017. Milletti, F. (2012) Cell-Penetrating Peptides Classes, Origin and Current Landscape. Drug Discovery Today, 17, 850-860. Tunnemann, G., Ter-Avetisyan, G., Martin, R.M., et al. (2008) Live-Cell Analysis of Cell Penetration Ability and Toxicity of Oligo-Arginines. Journal of Peptide Science, 14, 469-476. Futaki, S., Suzuki, T., Ohashi, W., et al. (2001) Arginine-Rich Peptides. An Abundant Source of Membrane Permeable Peptides Having Potential as Carriers for Intracellular Protein Delivery. The Journal of Biological Chemistry, 276, 5836-5840. Prochiantz, A. (1996) Getting Hydrophilic Compounds into Cells: Lessons from Homeopeptides. Current Opinion in Neurobiology, 6, 629-634. Mueller, J., Kretzschmar, I., Volkmer, R., et al. (2008) Comparison of Cellular Uptake Using 22 CPPs in 4 Different Cell Lines. Bioconjugate Chemistry, 19, 2363-2374. Oehlke, J., Krause, E., Wiesner, B., et al. (1997) Extensive Cellular Uptake into Endothelial Cells of an Amphipathic [beta]-Sheet Forming Peptide. FEBS Letters, 415, 196-199. Brock, R. (2014) The Uptake of Arginine-Rich Cell-Penetrating Peptides: Putting the Puzzle Together. Bioconjugate Chemistry, 25, 863-868. Shin, M.C., Zhang, J., Min, K.A., et al. (2014) Cell-Penetrating Peptides: Achievements and Challenges in Application for Cancer Treatment. Journal of Biomedical Materials Research Part A, 102, 575-587. Pouny, Y., Rapaport, D., Mor, A., et al. (1992) Interaction of Antimicrobial Dermaseptin and Its Fluorescently Labeled Analogues with Phospholipid Membranes. Biochemistry, 31, 12416-12423. Matsuzaki, K. (1999) Why and How Are Peptide-Lipid Interactions Utilized for Self-Defense? Magainins and Tachyplesins as Archetypes. Biochimica et Biophysica Acta (BBA)—Biomembranes, 1462, 1-10. Ludtke, S., He, K. and Huang, H. (1995) Membrane Thinning Caused by Magainin 2. Biochemistry, 34, 16764-16769. Palm-Apergi, C., Lorents, A., Padari, K., et al. (2009) The Membrane Repair Response Masks Membrane Disturbances Caused by Cell-Penetrating Peptide Uptake. FASEB Journal, 23, 214-223. Vives, E., Granier, C., Prevot, P., et al. (1997) Structure-Activity Relationship Study of the Plasma Membrane Translocating Potential of a Short Peptide from HIV-1 Tat Protein. Letters in Peptide Science, 4, 429-436. Lundberg, M. and Johansson, M. (2002) Positively Charged DNA-Binding Proteins Cause Apparent Cell Membrane Translocation. Biochemical and Biophysical Research Communications, 291, 367-371. Richard, J.P., Melikov, K., Vives, E., et al. (2003) Cellpenetrating Peptides. A Reevaluation of the Mechanism of Cellular Uptake. The Journal of Biological Chemistry, 278, 585-590. Wadia, J.S., Stan, R.V. and Dowdy, S.F. (2004) Transducible TAT-HA Fusogenic Peptide Enhances Escape of TAT-Fusion Proteins after Lipid Raft Macropinocytosis. Nature Medicine, 10, 310-315. Conner, S.D. and Schmid, S.L. (2003) Regulated Portals of Entry into the Cell. Nature, 422, 37-44. Maiolo, J.R., Ferrer, M. and Ottinger, E.A. (2005) Effects of Cargo Molecules on the Cellular Uptake of Arginine-Rich Cell-Penetrating Peptides. Biochimica et Biophysica Acta, 1712, 161-172. Dubikovskaya, E.A., Thorne, S.H., Pillow, T.H., et al. (2008) Overcoming Multidrug Resistance of Small-Molecule Therapeutics through Conjugation with Releasable Octaarginine Transporters. Proceedings of the National Academy of Sciences of the United States of America, 105, 12128-12133. Lee, J.Y., Choi, Y.S., Suh, J.S., et al. (2011) Cell-Penetrating Chi-tosan/Doxorubicin/TAT Conjugates for Efficient Cancer Therapy. International Journal of Cancer, 128, 2470-2480. Hollstein, M., Sidransky, D., Vogelstein, B., et al. (1991) p53 Mutations in Human Cancers. Science, 253, 49-53. Liggett, W.H. and Sidransky, D. (1998) Role of the p16 Tumor Suppressor Gene in Cancer. Journal of Clinical Oncology, 16, 1197-1206. Snyder, E.L., Meade, B.R., Saenz, C.C., et al. (2004) Treatment of Terminal Peritoneal Carcinomatosis by a Transducible p53-Activating Peptide. PLOS Biology, 2, E36. Hosotani, R., Miyamoto, Y., Fujimoto, K., et al. (2002) Trojan p16 Peptide Suppresses Pancreatic Cancer Growth and Prolongs Survival in Mice. Clinical Cancer Research, 8, 1271-1276. Vucic, D., Deshayes, K., Ackerly, H., et al. (2002) SMAC Negatively Regulates the Anti-Apoptotic Activity of Melanoma Inhibitor of Apoptosis (MLIAP). The Journal of Biological Chemistry, 277, 12275-12279. Fulda, S., Wick, W., Weller, M., et al. (2002) Smac Agonists Sensitize for Apo2L/TRAIL- or Anticancer Drug-Induced Apoptosis and Induce Regression of Malignant Glioma in Vivo. Nature Medicine, 8, 808-815. Stirpe, F., Olsnes, S. and Pihl, A. (1980) Gelonin, a New Inhibitor of Protein Synthesis, Nontoxic to Intact Cells. Isolation, Characterization, and Preparation of Cytotoxic Complexes with Concanavalin A. The Journal of Biological Chemistry, 255, 6947-6953. Park, Y.J., Chang, L.C., Liang, J.F., et al. (2005) Nontoxic Membrane Translocation Peptide from Protamine, Low Molecular Weight Protamine (LMWP), for Enhanced Intracellular Protein Delivery: In Vitro and In Vivo Study. THE FASEB Journal, 19, 1555-1557. Lu, P.Y., Xie, F.Y. and Woodle, M.C. (2003) siRNA-Mediated Antitumorigenesis for Drug Target Validation and Therapeutics. Current Opinion in Molecular Therapeutics, 5, 225-234. Kim, W.J., Christensen, L.V., Jo, S., et al. (2006) Cholesteryl Oligoarginine Delivering Vascular Endothelial Growth Factor siRNA Effectively Inhibits Tumor Growth in Colon Adenocarcinoma. Molecular Therapy, 14, 343-350. Crombez, L., Morris, M.C., Dufort, S., et al. (2009) Targeting Cyclin B1 through Peptide-Based Delivery of siRNA Prevents Tumour Growth. Nucleic Acids Research, 37, 4559-4569. Josephson, L., Tung, C.H., Moore, A., et al. (1999) High-Efficiency Intracellular Magnetic Labeling with Novel Superparamagnetic-Tat Peptide Conjugates. Bioconjugate Chemistry, 10, 186-191. Torchilin, V.P. (2008) Cell Penetrating Peptide-Modified Pharmaceutical Nanocarriers for Intracellular Drug and Gene Delivery. Biopolymers, 90, 604-610. Balzeau, J., Pinier, M., Berges, R., et al. (2013) The Effect of Functionalizing Lipid Nanocapsules with NFL-TBS. 40-63 Peptide on Their Uptake by Glioblastoma Cells. Biomaterials, 34, 3381-3389. 郝萧. 红鳍东方鲀重编程因子Oct4和Sox2原核表达载体的构建、精巢细胞原核表达产物的导入及其检测研究[D]: [硕士学位论文]. 青岛: 中国海洋大学海洋生命学院, 2011. 伟一凡. 细胞穿膜肽在藻类细胞外源物质转导中的应用[D]: [硕士学位论文]. 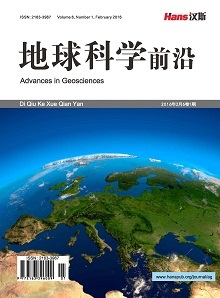 青岛: 中国科学院海洋研究所, 2014. 伟一凡, 郇丽, 等. 细胞穿膜肽转导大型海藻及对其光合作用的影响[J]. 海洋与湖沼, 2015, 46(5): 1235-1240. Sun, Y. and Hu, Y.H. (2015) Cell-Penetrating Peptide-Mediated Subunit Vaccine Generates a Potent Immune and Protection against Streptococcus iniae in Japanese Flounder (Paralichthys olivaceus). Veterinary Immunology and Immunopathology, 167, 96-103. 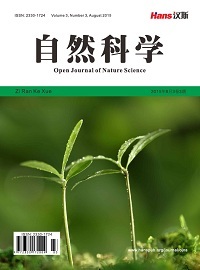 Ma, J., Xu, J., Guan, L., et al. (2014) Cell-Penetrating Peptides Mediated Protein Cross-Membrane Delivery and Its Use in Bacterial Vector Vaccine. Fish and Shellfish Immunology, 39, 8-16. 宫春爱, 胡楚玲, 等. 细胞穿膜肽在抗肿瘤靶向治疗中的研究进展[J]. 第二军医大学学报, 2017, 38(6): 774-779.